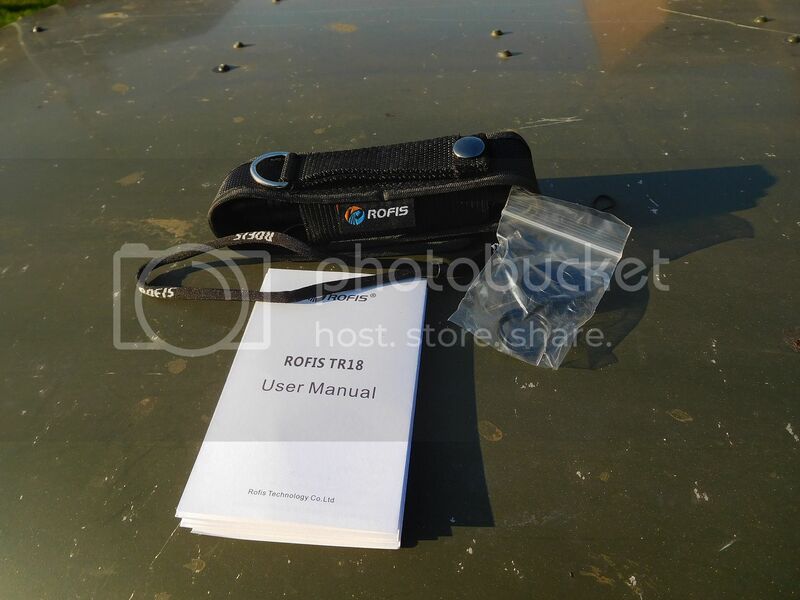 This light was supplied for review by Rofis flashlights. Just wow! An awesome light with loads of unique and cool features. 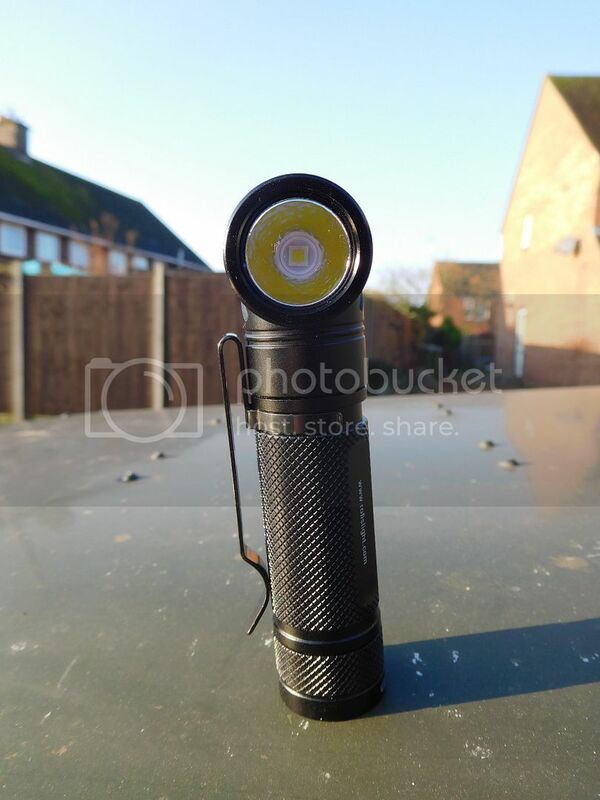 As a ‘normal’ light it works very well, great performance and a lovely beam. The added features make it unique and very useful however. The TR18 comes with the usual spare o-rings. 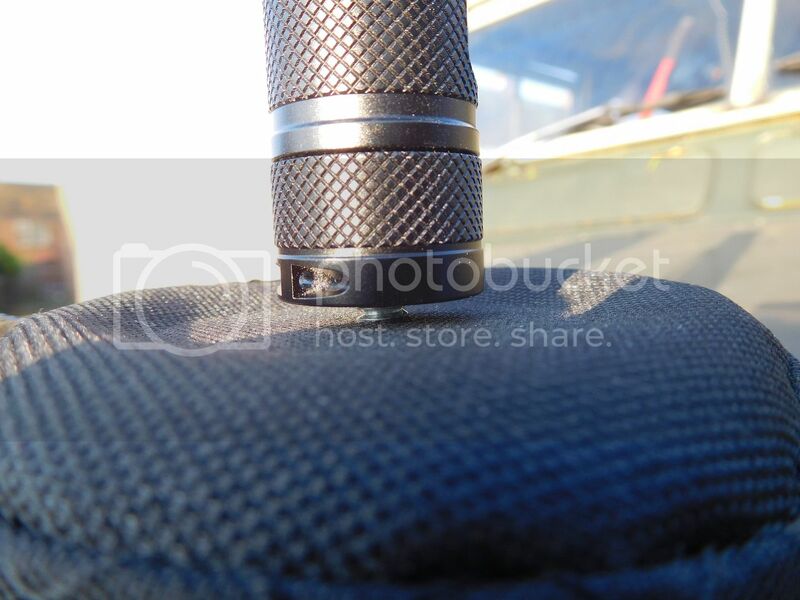 A quality holster, lanyard and tailcap magnet adapter. The anodising is flawless on my sample. The switch feels great with a positive ‘click’ sound when using it, despite being an electronic switch. 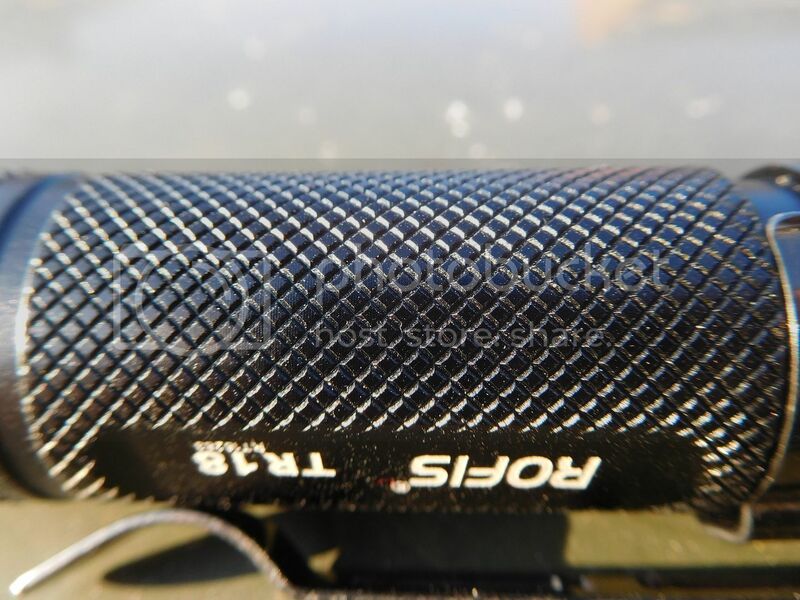 The threaded sections are square in profile and have no binding or slop in them. It has stable tail standing and comfortable to hold and use. 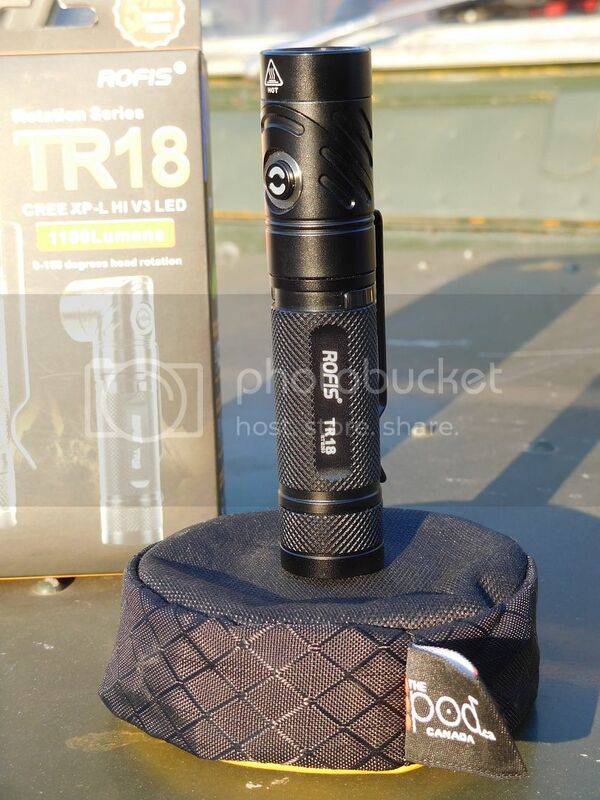 The TR18 is a compact 18650 tube light and uses an XP-L HI with an OP reflector. 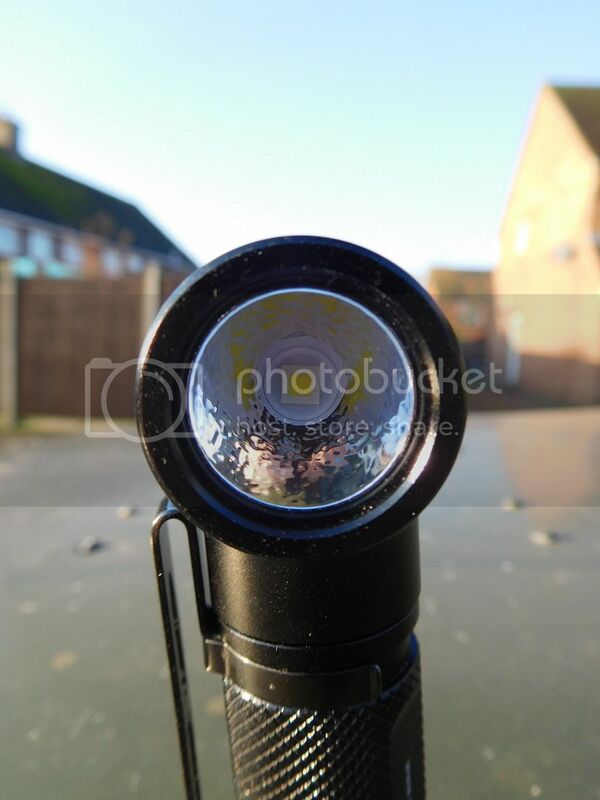 This in turn gives you an intense bright hotspot, but the reflector still giving a useful spill beam. 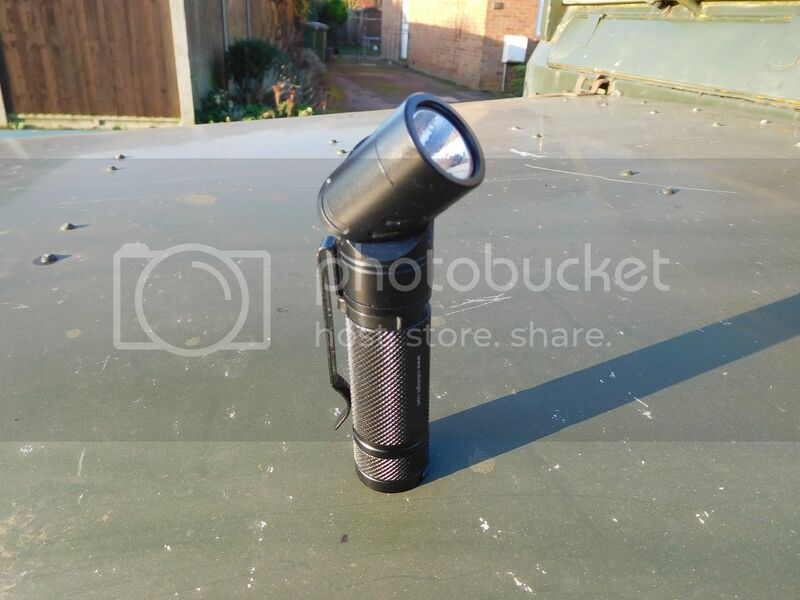 This is possible the ideal combination for a general purpose light. 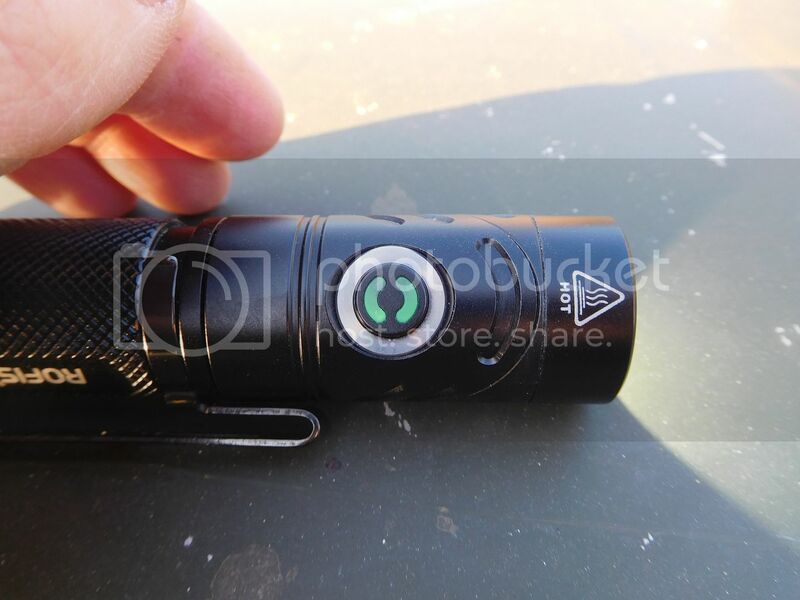 The smaller XP-G2 LEDs tend to throw well, but lack output with a duller spill beam and smaller hot spot. 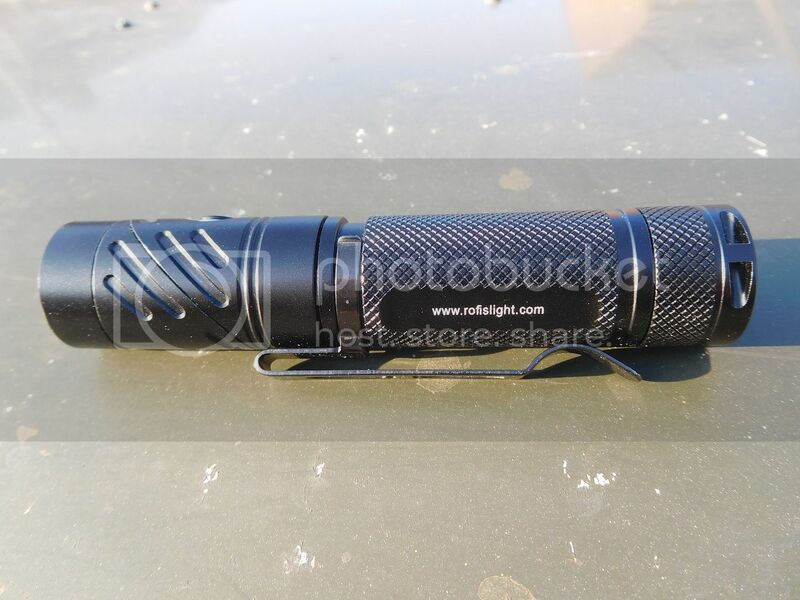 While an XM-L2/XP-L light tends to have a large hotspot, but limited throw, making them less useful out doors. 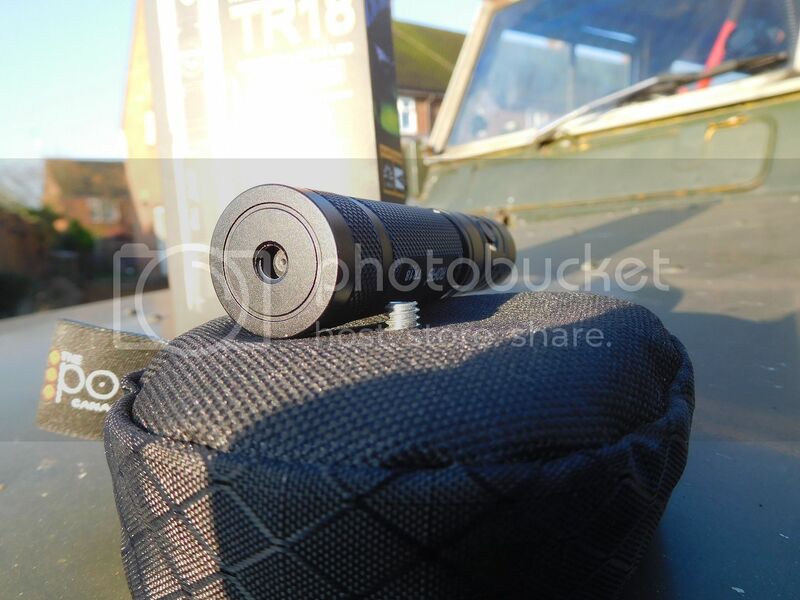 This TR18 with the XP-L HI and OP reflector seems to be the sweet spot in my opinion. Good throw and beam distance, but a very usable spill beam too. The TR18 uses a single electronic side switch. This activates the light and selects modes. There is an electronic lock out for the light. 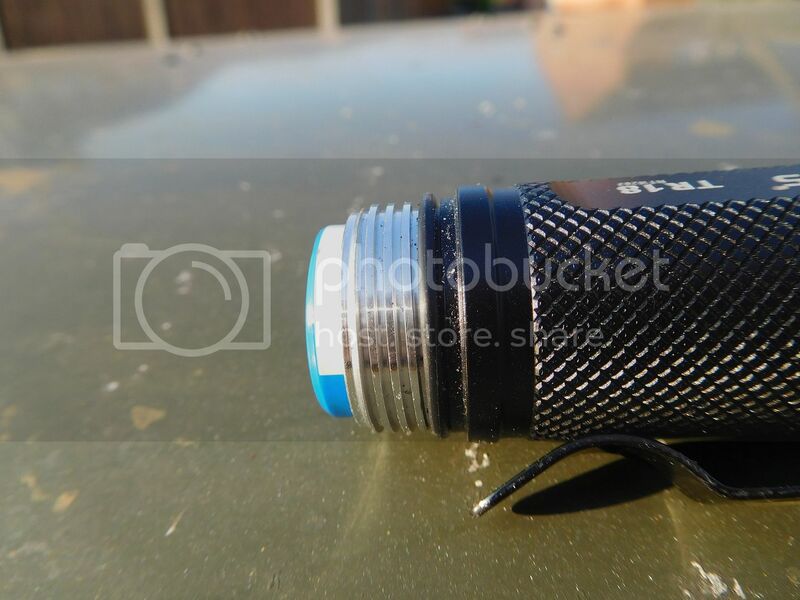 A full click turns the flashlight on. Once on, the side switch scrolls through the modes. A click and hold will advance through the outputs. From off click and hold will take you to moonlight. A double click from on will enter strobe. My only lament on the UI is, there is no instant to max output. Which means you can easily scroll past it and have to start again. Moonlight is rated at 4 lumens, maybe not true moonlight, but certainly fairly low. About 3 seconds after activating the light, the side switch will blink a colour to tell you status of the battery. 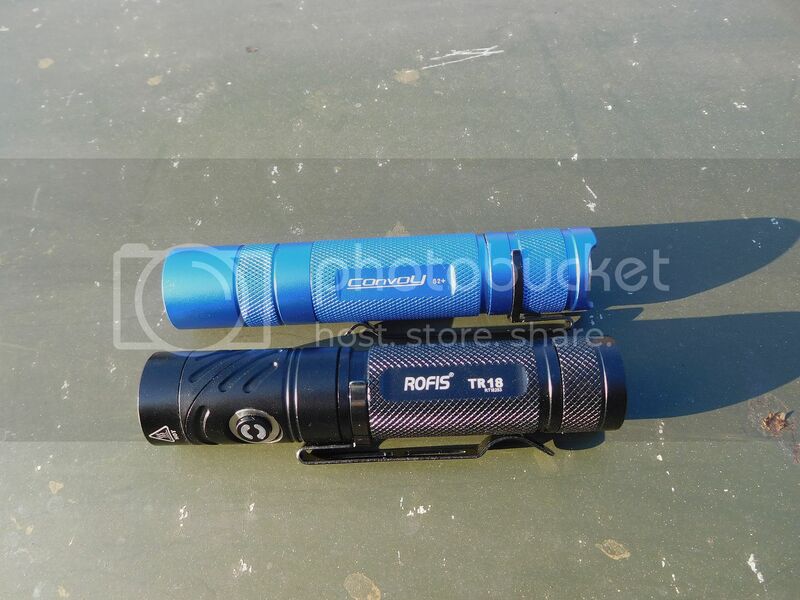 Size wise the TR18 compares favourably with other 18650 tube lights. 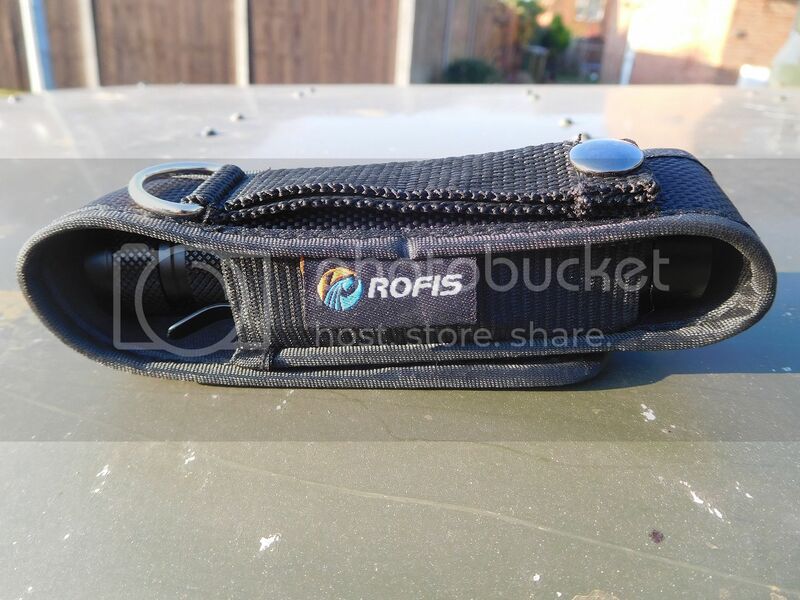 The pocket clip provides anti roll capabilities. 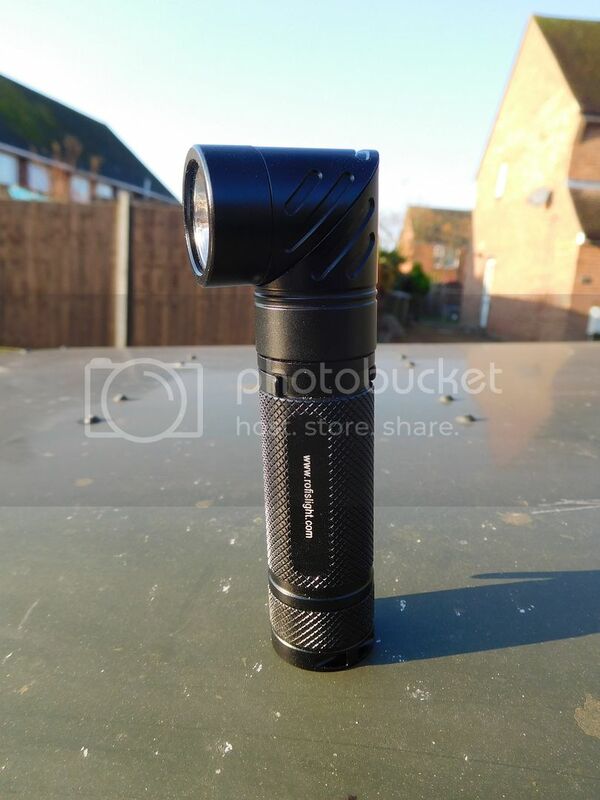 I found the beam, tint and UI to all be great for EDC use. The low isn’t a moonlight in my opinion, just a low., but it is a suitable low setting, and the beam is ideal for general use. So now onto the party tricks. 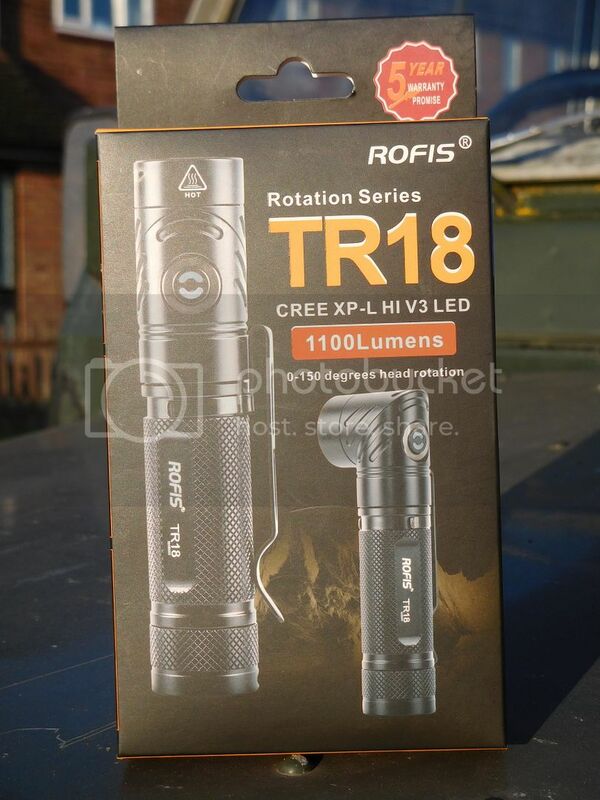 The TR18 offers 3 fairly unique features you won’t find on most other lights. 1. 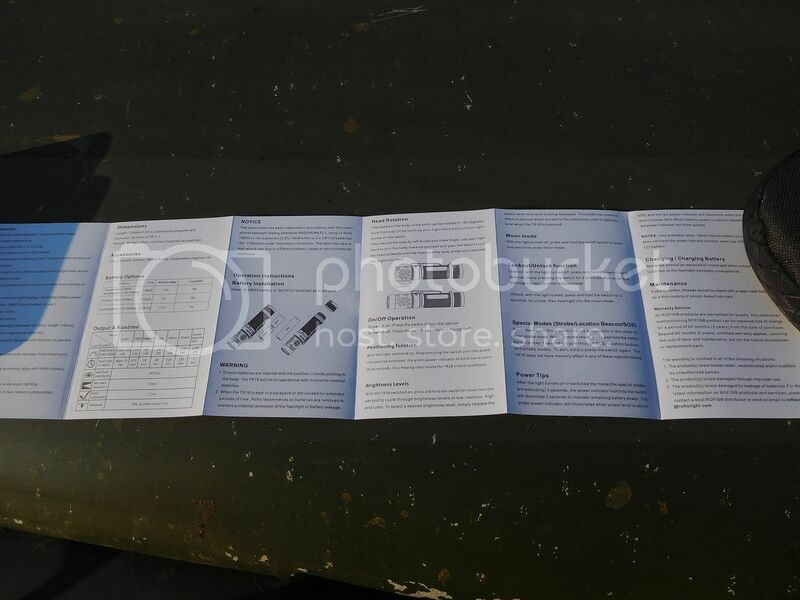 It comes with a tripod mount. While this might not be instantly obvious to it’s benefits, it has real world uses when you consider one of the other features this light has. 2. 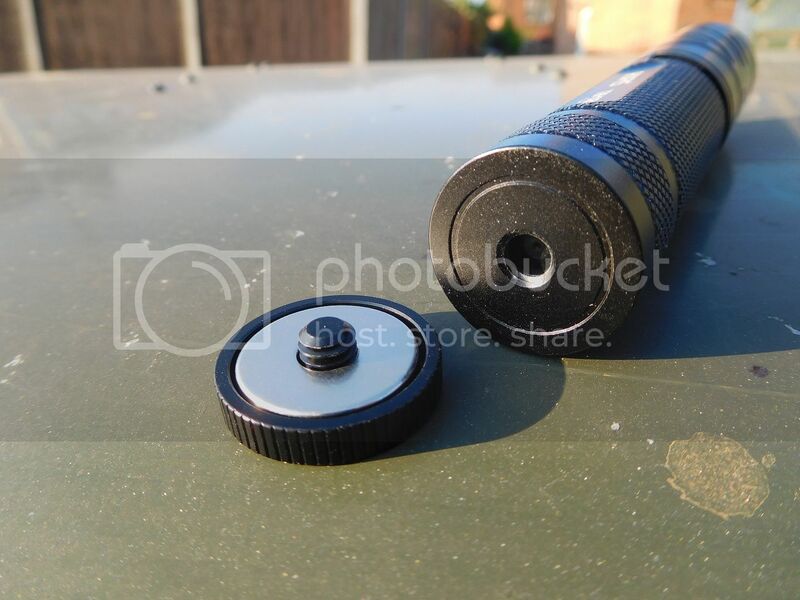 One of the accessories for the light, is an adapter that screws into the tripod mount. 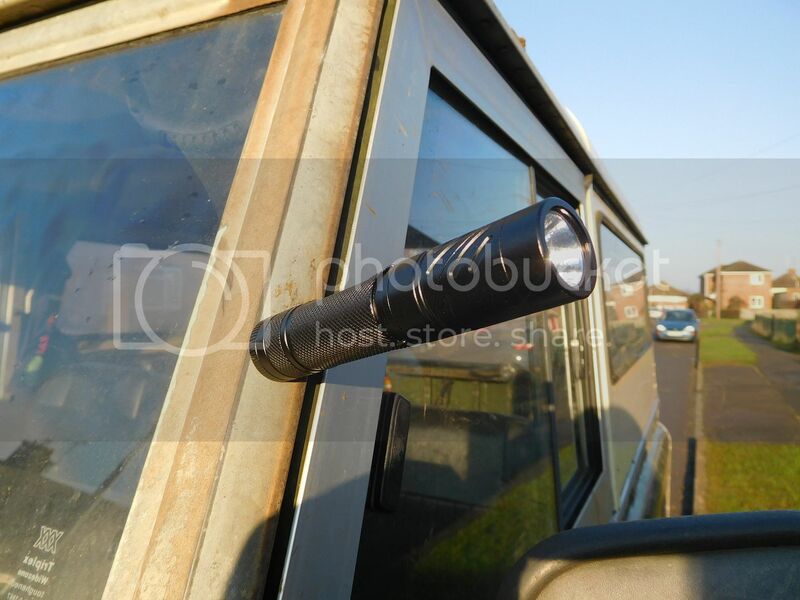 The light retains the ability to tailstand, but now has a magnet too. Meaning you can easily attached it to many surfaces. 3. 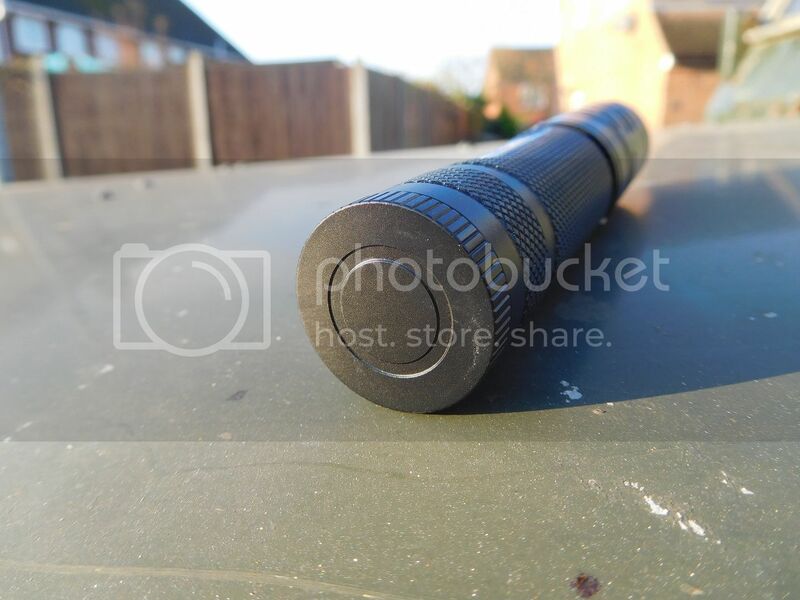 The prime feature however is the rotating head assembly, which turn this tube light into a compact angle light. Which now highlights how useful the tripod and mag mount can be. The pocket clip is also design for use in the angle mode. 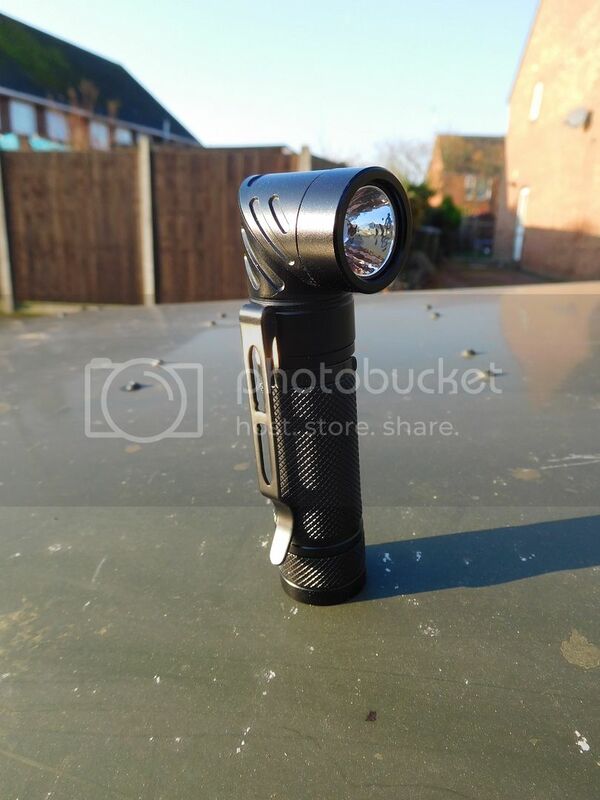 This makes this light a highly capable work light for many different situations and uses. And the best bit is, these cool features don’t hinder it being a regular tube light either. Nice review CD! Thanks for taking the time and keeping it “non” technical. Nice review of a nice light, thanks CD! Thanks for the review. Been thinking about picking up this light. Is that a Land Rover Defender? Show us more of that next time! I actually really like this idea. I just wish it was a tail clicky and that the pocket slip was a true deep carry with the lens facing down. This is similar to the Klarus AR10. Actually, the TR20 would be closer, since it also has USB charge ability. The TR18 is closer to the ThruNite TN20, with an upgraded emitter and addition of the 1/4-20 threaded base and removeable magnet. I really like that concept. Not sure if ThruNite has cancelled their TN20. I don’t see it on their web page anymore. My understanding was that they developed the TN20 in conjunction with Rofis. I love the swivel head concept, which is why I own 2 TR20’s and a AR10. The versatility is difficult to match. I’ve always had concerns about longevity. Any time something adds mechanical complexity, you can bet it increases the likelihood of something breaking/failing. Keeping my fingers crossed. A word of caution if you are thinking about using a headlamp strap to use these as headlamps. The portion that sticks out when you rotate the head is significant enough to be felt when used as a headlamp. If you’re not moving around much, no problem. If you’re going out for a run, I’d consider a different solution, perhaps something in a right angled head format like the Fenix HL-10. 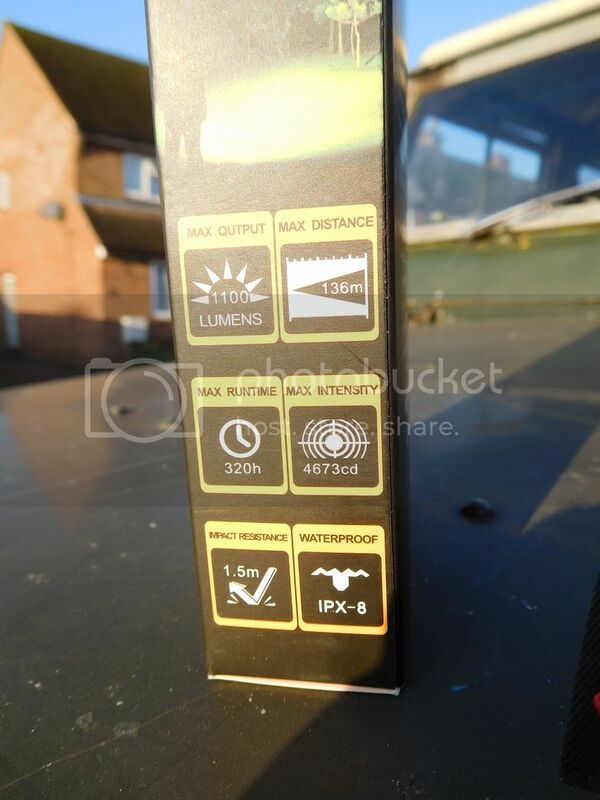 If you’re going to use an 18650 light for a running headlamp, I’d recommend using an “over-the-head” style strap. 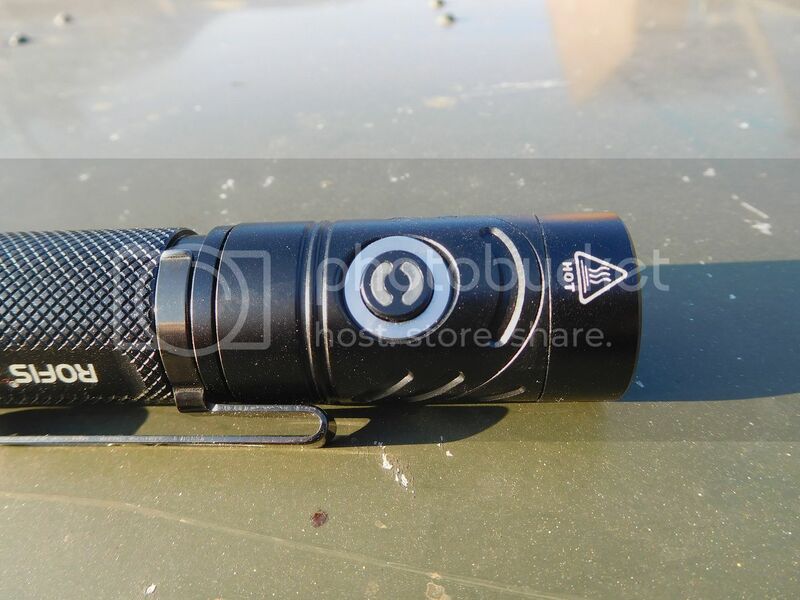 Personally, I prefer to use something lighter, like the AAA powered Fenix HL-10. Less mass, less kinetic energy to bang around on your head. That removeable magnetic base should also fit the Jetbeam Jet-1 MK.